FORT WORTH (WBAP/KLIF) – A historic building near Downtown Fort Worth is on the market. The Katy Depot was first designed as a railroad freight depot in 1909, now the future of the over 23,000 square foot building is uncertain. 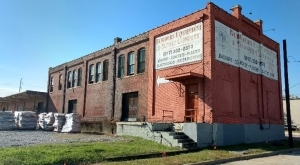 “This is a cool 2-story property with good views of the downtown nearby urban area, a long first floor with good ceiling heights that’ll make good retail space or even a loft type space,” Joel St. John VP of JLL, Real Estate Company leading the sales effort on behalf of the ownership. John said the building provides a unique historic asset to one of the most vibrant areas in Fort Worth. It’s located on East Broadway Avenue in Fort Worth’s SouthSide Medical District. John said another attractive element to this property is the incentive it offers. “With its historic nature, the State and Federal Historic Tax Credit Program allows developers to offset some of their development costs,” John said. 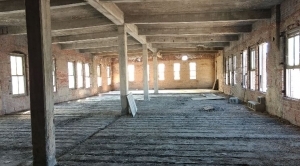 This building does need to undergo renovations, right now it’s an empty space with minimal lighting and plumbing, waiting to be turned into something special.